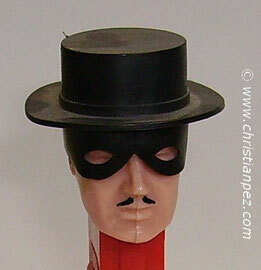 Zorro is a fictional character created in 1919 by New York–based pulp writer Johnston McCulley. 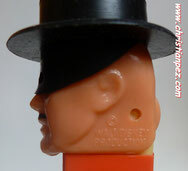 The character has been featured in numerous books, films, television series, and other media. 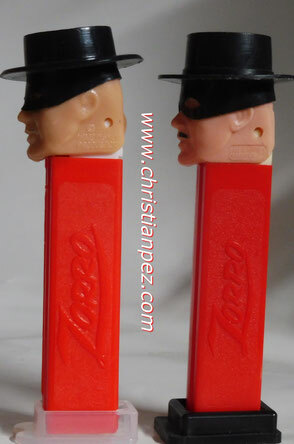 Zorro (Spanish for "fox") is the secret identity of Don Diego de la Vega, a Californio nobleman and master living in the Spanish colonial era. 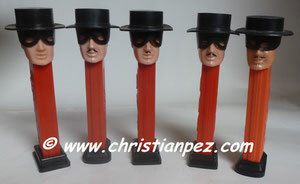 The character has undergone changes through the years, but the typical image of him is a dashing black-clad masked outlaw who defends the people of the land against tyrannical officials and other villains. Not only is he much too cunning and foxlike for the bumbling authorities to catch, but he delights in publicly humiliating those same foes. Ce distributeur peut être trouvé sous différentes versions : petit ou grand logo, variantes également sur le masque et le chapeau. Quelques versions ont un masque incurvé et d'autres ont un masque droit. 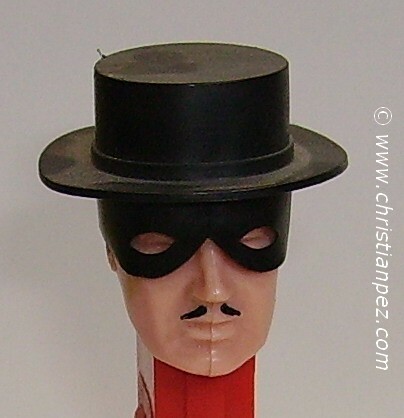 This dispenser can be found in several different versions: small and large logo and variations of the hat and mask. 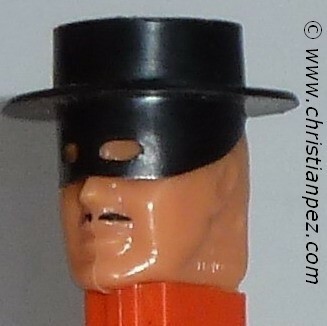 Some versions have a curved mask and others have a straight mask.